In a deal that could be fruitful for both partners, Japan recently announced it would donate $30 billion in assistance to Africa over the next three years. It’s a move that could help Africa develop infrastructure and grow it economy, while allowing Japan to tap into the region’s natural resources and connections. Africa has long been viewed as a developing continent in need of aid. The $30 billion just pledge by Japan Prime Minister Shinzo Abe will provide support for infrastructure development, education, and healthcare expansion. The projects will be implemented through the African Development Bank. The initial focus on infrastructure will cover a wide range of projects, including roads, ports, airports, and power plants, with the idea that the economy can best grow after the infrastructure is in place and people have the resources to live and travel to do business. A portion of the money will help increase power plant production capacity by 2,200 megawatts across Africa, helping provide more reliable electricity and power throughout a continent racked with unreliable power sources and frequent blackouts. After the infrastructure projects, Japan will pledge the remaining $20 billion from private funds. Additional projects include training and developing 20,000 math and science teachers and teaching 20,000 experts how to handle infectious diseases around the continent, with the goal to save 300,000 people’s lives from the malaria, Ebola, HIV, and aids that sweep the region. Japan will work through civil society groups and private organizations to facilitate the projects instead of using the African government, with the idea that Japan will work with Africa for development, not work for them. “When combined with investment from the private sector, I expect that the total will amount to $30 billion. This is an investment that has faith in Africa’s future, an investment for Japan and Africa to grow together,” Prime Minister Abe told a gathering of heads of state from across Africa. The donation was announced at the Tokyo International Conference on African Development, a conference held every three years to improve relationships between African countries and Japan, while also aiming to facilitate development. This year was the first since 1993 that the conference was held in Africa. This isn’t the first time Japan has pledged money to Africa: in 2013, at a similar TICAD meeting, Japan provided $32 billion in assistance over five years; according to Abe, 67% of that money is currently at work in projects across the continent, including the construction of a geothermal power plant and the expansion and development of a port in Kenya. 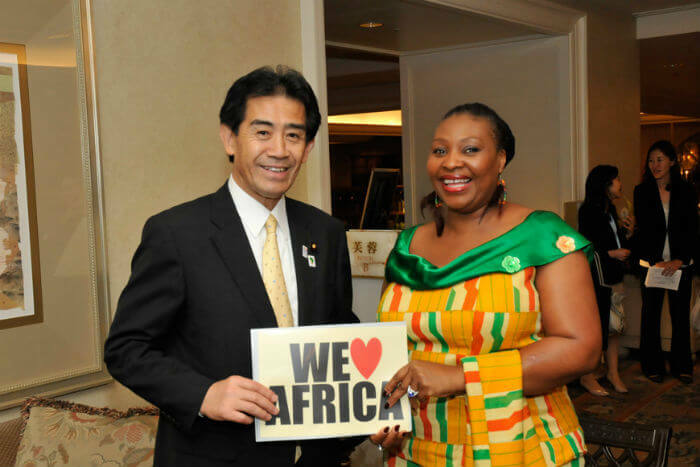 In total, Japan has given more than $47 billion to Africa in the last 23 years. 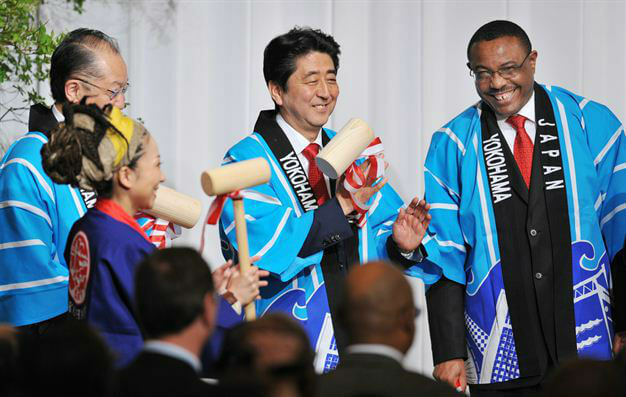 Japan is short on natural resources and has expressed its interest in tapping into Africa’s bounty for quite some time. Japan’s need for natural resources has skyrocketed in recent years since the Fukushima nuclear incident shut down most of Japan’s nuclear reactors in 2011—the country has yet to fully recover. The country’s economy is also on the verge of collapse and could use revitalization from a partnership with African nations. It will be easier for Japan to use some of Africa’s resources once the infrastructure is improved and more reliable. The donation also has political undertones: African countries are already being courted for their resources by the United States and China through the large amounts of money and resources the countries have donated to Africa. In December 2015, Chinese president Xi Jingping pledged $60 billion, double Japan’s amount, to support Africa’s infrastructure through government initiatives. By pledging an additional large sum of money to Africa, Japan is throwing its hat in the ring in hopes of tapping into resources and building valuable international connections. China is currently Africa’s largest trading partner, with Japan lagging far behind: in 2015, China’s total trade with Africa was estimated to be worth $179 billion, while Japan’s was just $24 billion. Africa leaders are anxious to increase free trade within the region and to encourage other countries to trade with developing nations in the continent. According to many experts, Japan has an opportunity to assert itself on the world stage if it can assist in the development and free trade of the region. Many believe that Japan’s ultimate goal is to become a permanent member of the United Nations Security Council, which would require more action and bold initiatives, such as the free trade Pacific-Indian sea initiative Abe is suggesting. In order to get the African economy to a place for better free trade, the infrastructure needs to be improved, which is where Japan’s large pledge comes in. Africa is a region of fast potential and resources, and it could become a large player on the international stage when developed properly. No matter the motivation, Japan’s notable assistance to the region could be the boost it needs to grow the economy and lead a new wave of free trade and development.